I know my son is going to be getting a ton of candy from family, so I decided to not include any candy or snacks in his basket. So...what did I include? Check it out below! My son is obsessed with his dad and ducks - so this book was perfect! 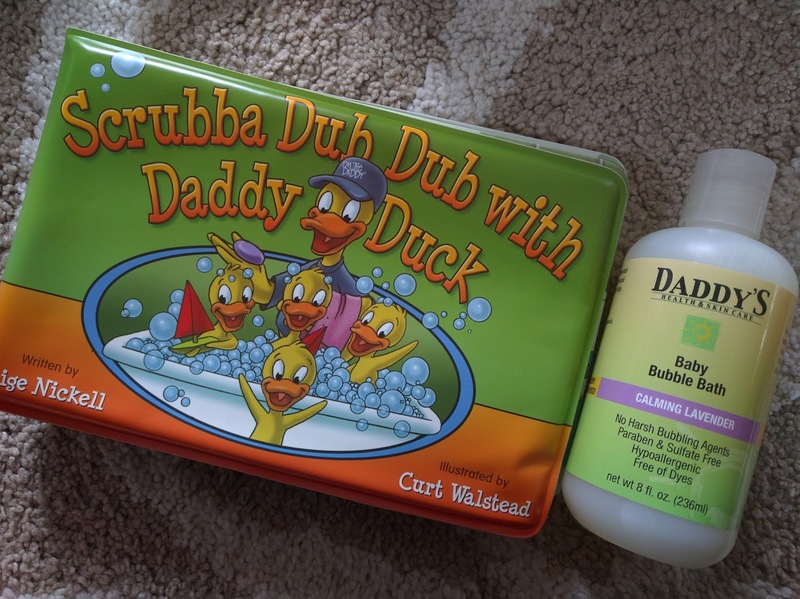 My son loves bath time so new bubbles and a fun bath time waterproof book is perfect. Going with the bath time theme, I wanted to include a new bath toy. This duck got great reviews on Amazon! Max is going through a duck phase and he's obsessed! You can buy it using Amazon Prime and receive it in 2 days. I use to love my Magna Doodle! I saw this at Meijer and had to get it for Max's basket. It's a small, travel size, which will be good for his little hands. The age is 3+, and he's only 18 months, but I figure he'll grow into it. This is also available on Amazon Prime if you're in a pinch! I found jelly bean scented Easter grass at Meijer. It smells SO good! My son is a little young to appreciate this, but I think it's fun. I also found sports ball themed eggs. Max is into footballs, soccer balls, basketballs, etc., so these are perfect for holding little treats. I won't put sugary candy in them, instead I'll put freeze dried yogurt bites, just so he can have fun discovering them. - Healthy treats, such as Plum Organics Mighty Bites or Plum Organics puffs. 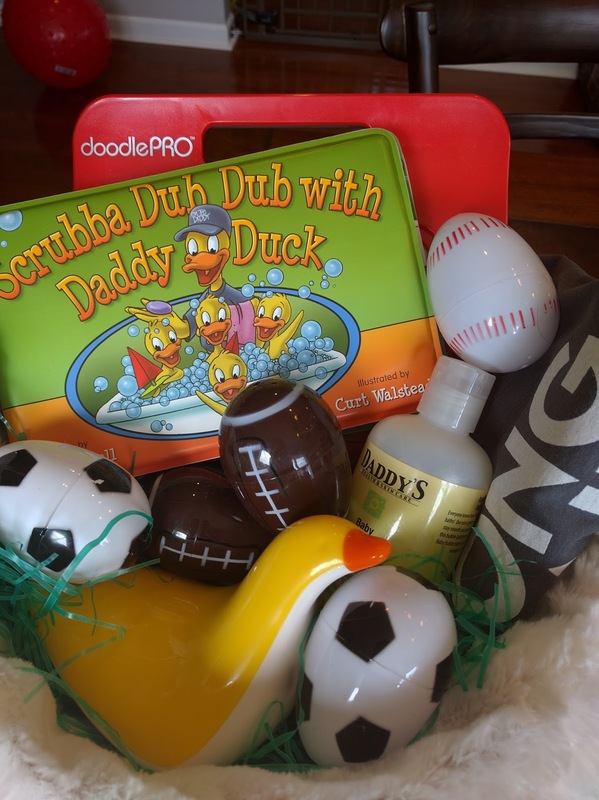 I'd like to know what you're putting in your kid's Easter baskets? Anything unique? I want to know! 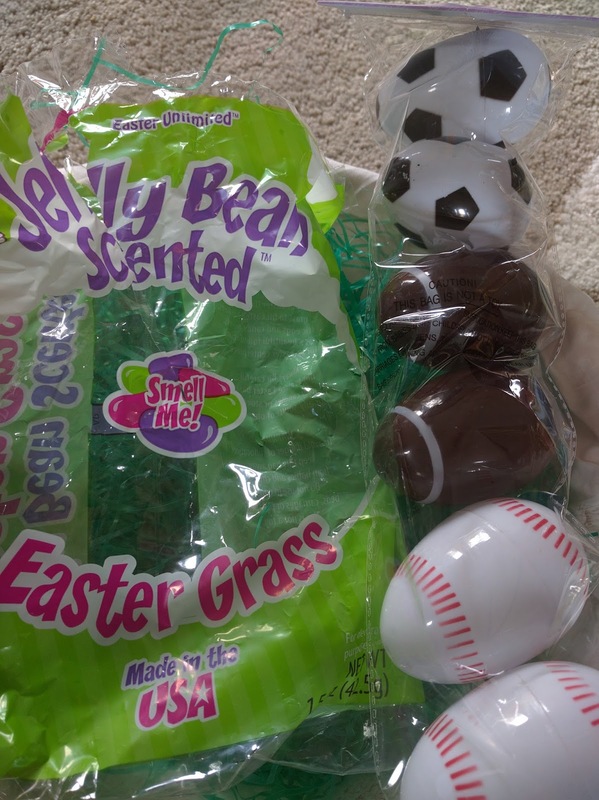 Jelly-bean scented grass sounds really unique. I don't have children but when I was younger, my grandma used to send me an Easter basket - it sometimes had fun figurines and whatnot in it as well as chocolate. Yes, I love these ideas. We don't put more than one or two things of candy in our baskets. Mostly toys. These are good ideas...no one needs lots of candy. I don't have children, so I don't make Easter Baskets, but thanks for the info! Gift Certificates will always do. Thanks for this ideas. Hope kids will love it. My girls don't want candy this year either, they want gift cards to their favorite stores. It's going to be a challenge. Love the bath idea! I am a big fan of giving gift cards too. It's nice to let the person pick out what they specifically want. My kids have very severe food allergies that precludes them from eating a lot of varieties of candy. So at Easter they tend to get non-candy/food items in their baskets. I always appreciate seeing articles and posts with non-candy suggestions for Halloween and Easter. Thanks for the suggestions. I love this idea! I don't mind having a few pieces of candy, but getting a whole basket full gets out of hand.